Lately I’ve been looking at a really cool project on Codeplex for Pixel Shaders. The set of shaders in this library is awsome and really easy to use in you application…. All you need to do to consume any Shader is add a reference to the WPFShaderEffectLibrary class library and you can start using the shaders in XAML.What is really important is that you install the Shaders Build Task before trying to build the shader library (if you just add a reference to the ready build dlls you don’t even need to do this). 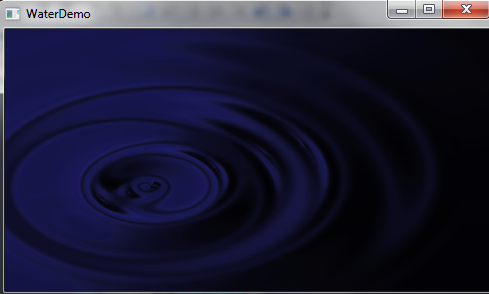 So let’s have a look at how we can use shaders to simulate water on screen. We invoke this animation by having a DispatcherTimer trigger the animation every now and then and changing the Center property of the Shader to a random point from 0 to 1. This already gets us very close but it still does not feel like real water. The trick is to animate to ripple effects at the same time. This will make the ripple effects expand together and thus making the control which has the shader applied look like water. Yet the problem is that you can only apply ONE shader per control. BUT you can have another shader on the parent control and that would still apply the shader on all children (I explain this in this article). – First of all download the database file from here. 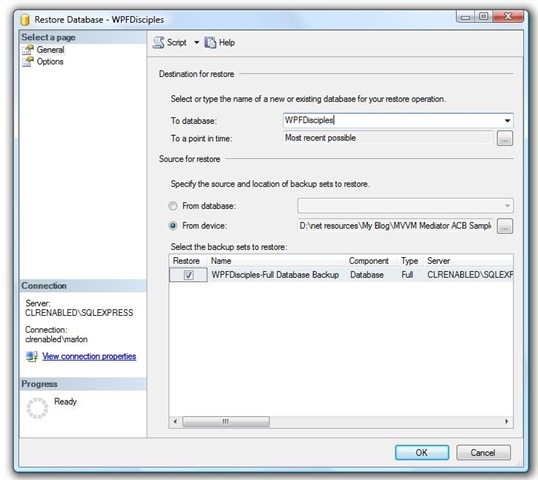 One of the big improvements to XBAPs in .NET 3.5 is the ability to consume WCF services. Nowadays Service Oriented Architectures (SOAs) are very popular and used almost everywhere. This all makes sense, as SOA is very scalable, and for many cases it is the best approach to take for a project; so why not enable SOA for XBAPs as well. To tell you the truth, you could consume WCF services from XBAP in .NET 3.0, yet the XBAP had to have Full Trust, and not Partial Trust, which usually spells trouble. Anyway we don’t have to worry much about this now because .NET 3.5 enables XBAPs to consume WCF services even in Partial Trust. Read more about this and it’s limitations here. 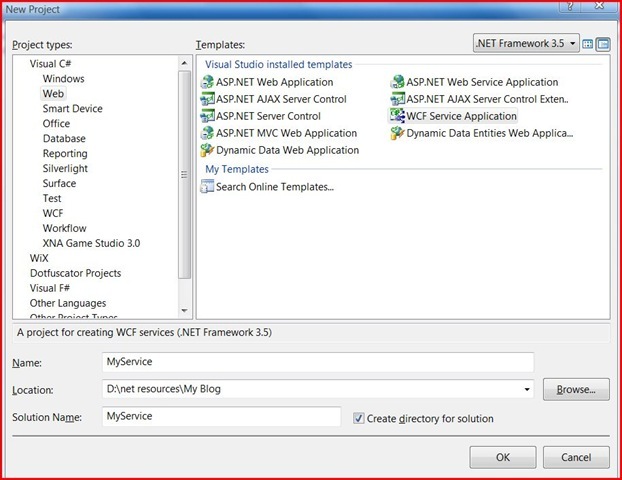 I am not going to cover the basics of how to create a WCF service, yet by default the WCF Service Visual Studio template creates a simple service for us already (called IService). So yes, if you hit F5 and run the service you will already have a service up and running. Once we have our simple service let’s create a Simple XBAP in the same solution (in order to do this please refer to my previous post). Please Note: If you do not run the service you will get an error while expanding the Tree nodes of the service in this Dialog. If the service is not running Visual Studio cannot get the Metadata of the service, since this is just another EndPoint of the service. 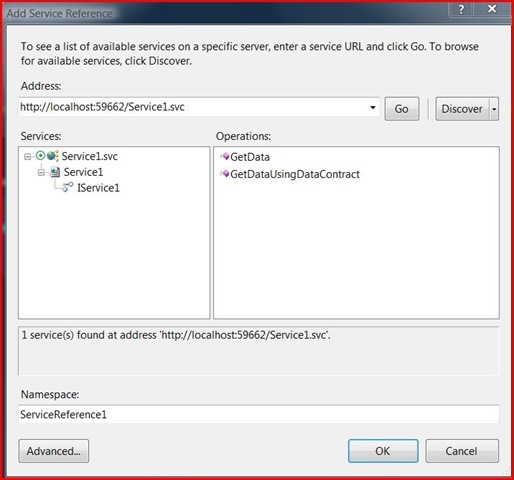 In order to run the service just Right Click on Service1.svc and select View in Browser. 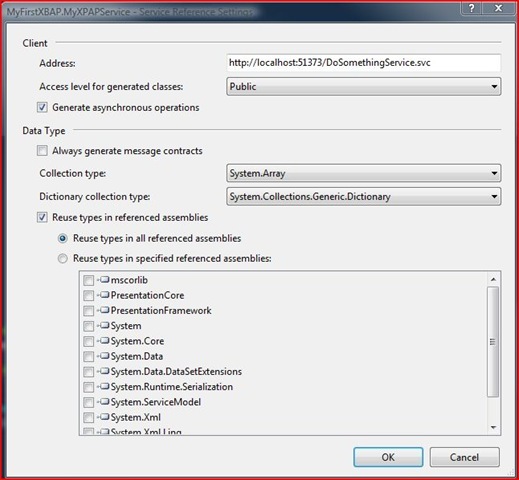 Ok, now that we added the Service Reference, Visual Studio will go to work and generate a Proxy class for us. 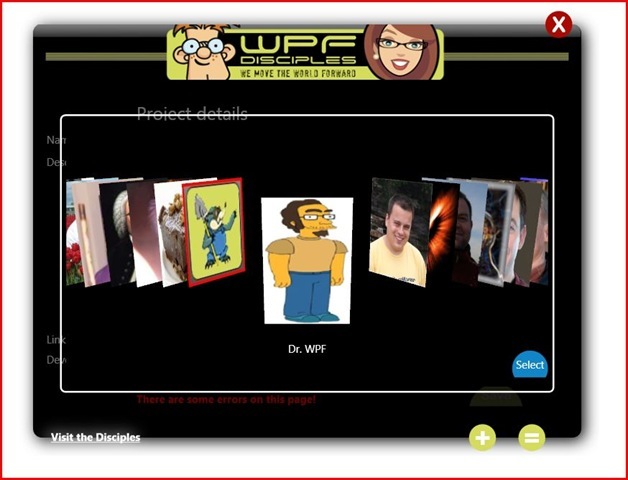 We will use this proxy class to communicate with the WCF service. By default the Proxy class is called <Name of service>Client so in our case it will be called Service1Client. This proxy class will have a method for every OperationContract we have in our service. You can also choose to create an Async version of the service. In order to do so just right click the Service1 (in the XBAP project that got created when we added the Service Reference) and select Configure Service Reference. Ok now that we have everything set up lets do a simple button in our XBAP and in the Click event handler call a method. Something like this…. Let’s hit F5 and run our XBAP and see what happens. AND BAMMMM a big ugly exception is thown. Yet I promised you guys that WCF is supported in Partial trust XBAPs…. 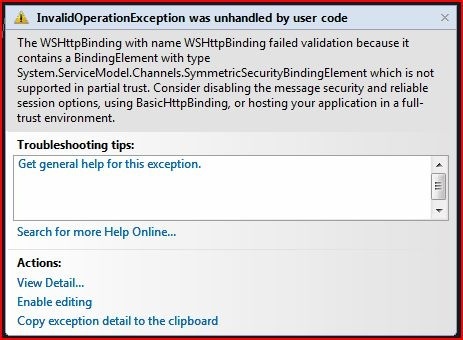 And it is, it’s just that the default WCF EndPoint is not 🙂 By default a WCF Service has it’s EndPoint set up as WsHTTPBinding which is not supported in Partial trust XBAPs. In order to fix this Right click the app.config of your service and select “Edit WCF Configuration” (if this option is not available go to Tools > WCF Service Configuration Editor then select open and specify the path of your App.config. Once you have the app.config opened in the editor Expand the Bindings Node and select the node under that. Open the Security tab and choose None as security level. Once that’s done run the app again. Request for the permission of type ‘System.Net.WebPermission, System, Version=2.0.0.0, Culture=neutral, PublicKeyToken=b77a5c561934e089’ failed. We have to do this so that we set up an envirorment for the XBAP just like it is running from the same URL of the service. And there you have it. 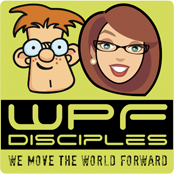 Now you should be armed and ready to start doing XBAPs that consume WCF service. XBAPs (XAML Browser Application) are a really cool feature that was introduced in .NET 3.0 together with WPF. 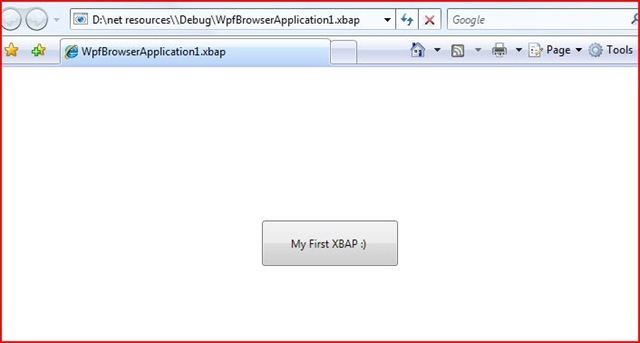 Well you can say that XBAPs are as such part of WPF because at the end of the day XBAPs are just WPF applications that can run inside the browser. One important thing to state here is that XBAPs and Silverlight have nothing to do with each other. 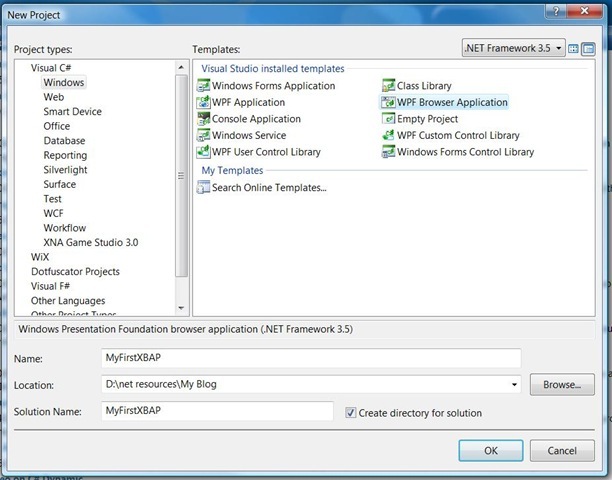 XBAPs are full .NET enabled WPF applications, while Silverlight is a “cut down version of WPF” that runs as a browser plugin. In order to run a Silverlight enabled website you need to download the Silverlight installer(that is really really small approx 4.3 MB), if you want a client to run a XBAP the client has to have .NET installed on his machine (the Full .NET or Client Profile). Before we continue I would like to point out that this post is just an introduction to XBAPs. I will have Part 2, Part 3 and Part x that should be much more interesting to follow…. Yet if you never heard of XBAPs you should continue reading this post (and try not to fall asleep :P). As I said above, in order for a client to run your XBAP he/she needs to have .NET framework installed. It’s as if the client is going to run a Windows application. XBAPs got a set of improvements in .NET 3.5 such as support for Firefox (read more here) and also support for consuming WCF service in partial trust mode (with some limitations of course but still it’s good, read more here). So yea if you are planning on using XBAP’s I would seriously consider .NET 3.5. To summarize your Client needs to have .NET installed and he can use the XBAP in Internet Explorer or if he prefers (and you are using .NET 3.5) Firefox. XBAPs run in the browser and give an impression of being a normal website (super cool website I must say :P) while instead they are just actual apps that never jump out of the browser, yet there is more to it… XBAP’s run in a “sandbox”, basically they run as Partial Trust by default. What this means is that some of the things that you would assume would work in a WPF app would not work in an XBAP, for example Reflection (and also the new 3.5 SP1 feature Effects 😦 ). Of course there are workarounds. You can run XBAPs as Full trust mode and we will discuss how to later on in this article. So as you can see by default Visual Studio created more or less the same stuff it would have created for a WPF Application yet instead of using a Window it created a Page. This is very important because a Page was designed for Navigation (the back and forward button of the browser). I will discuss Navigation more later on in this article. Besides this Visual Studio also created a pfx file. The pfx file is a way how to sign the exe, by default Visual Studio creates a pfx file that it uses to sign the Click once installer for the XBAP. The image above shows how Visual Studio generated that pfx file. Please not that there is the Computer name and username inside the pfx files (which obviously is not something you want to give to your client). Charles Perzold discusses this in more detail here. 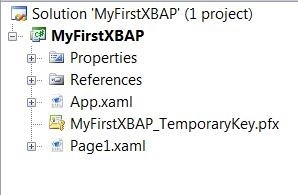 Ok so now that we know what Visual Studio created for us (thanks VS we love you) we can test our XBAP app (yea we can already run it 🙂 ). In order to see something on screen lets just create a button in the Page1.xaml and press F5 to run. Yahhooo we have everything figured out don’t we 🙂 well there are a couple of other things we need to have a look at. While writing a small app that I will be publishing here, I stumbled upon a strange issue. I was trying to put the WPF WebBrowser control inside a Tooltip yet the WebBrowser was not appearing on the screen. After an hour of debugging and trying out different things I found this WPF Forum thread that solved my issue… The problem has something to do with the WebBrowser being a native control and not a pure WPF control (so you are actually using an HwndHost in order to show it in a WPF app). Also you might want to have a look at this blog post, it’s from the answerer of the forum post. Anyway, I just thought to share this with who ever is encountering this problem…..
Well I’ve been really really busy packaging 2 new hot products. 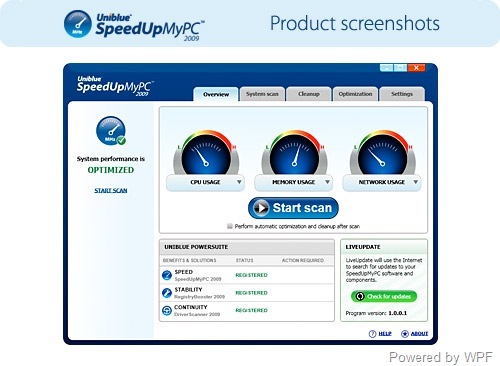 I currently work at Uniblue Systems where we develop system utilities that help you keep you PC healthy and clean. I have been working at Uniblue for 2 years but never in these 2 years I was excited as I am today. 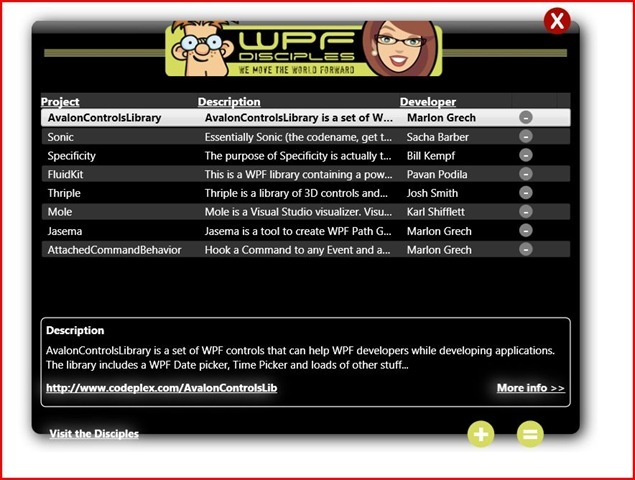 We released our first 2 products using WPF, packaged with .NET Framework Client Profile. .NET Framework Client Profile is really superb, it enables us at Uniblue to distribute our products to the end user in a fast and easy way. Before .NET Client Profile, it was very hard for companies such as Uniblue to ship software with .NET Framework because the download of the framework alone is massive. Our customers hate to wait ( don’t yours? ). With .NET Client Profile the download + installation is really fast and that’s why our customers love it! Client Profile not only installs the basic .NET Framework components, but it installs .NET 3.5 SP1 (Client Only) which means you get all the WPF goodness + all new super stuff that .NET 3.5 SP1 provides. So yea we can also go crazy with user interfaces! 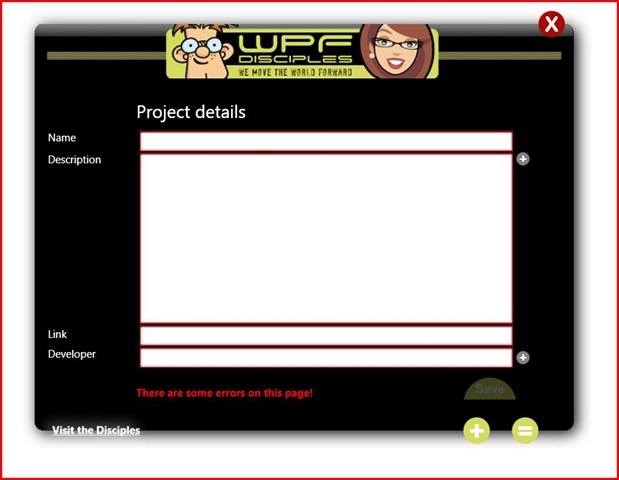 If you want to check out one of our new products (developed fully with WPF) check it out here …. please submit as many feedback as possible… I can’t wait to see what you think ….